If you love collecting virtual cats and you have Android Nougat, you're in luck: Google dropped a cat-collecting easter egg called Android Neko into the latest version of Android, and while it's not nearly as fun as Neko Atsume, you do get to collect cats by putting out treats. First let's set your expectations. Android Neko isn't so much a "game" as it's just a function of the operating system. You put out food, wait for a cat to show up, and the cat is added to your collection. It's passive fun, but there's no "game" screen, no play area to browse, no treats or toys to buy. It's not going to replace your favourite cat collecting game — but it is neat that Google rolled this into the OS. Scroll down to "Android Version," which should read 7.0, and tap three or four times until it fades away and is replaced by a big "N" on your screen. Tap the N four or five times, then long-press it until your phone vibrates. You'll see a tiny cat emoji under the N appear, then fade away. 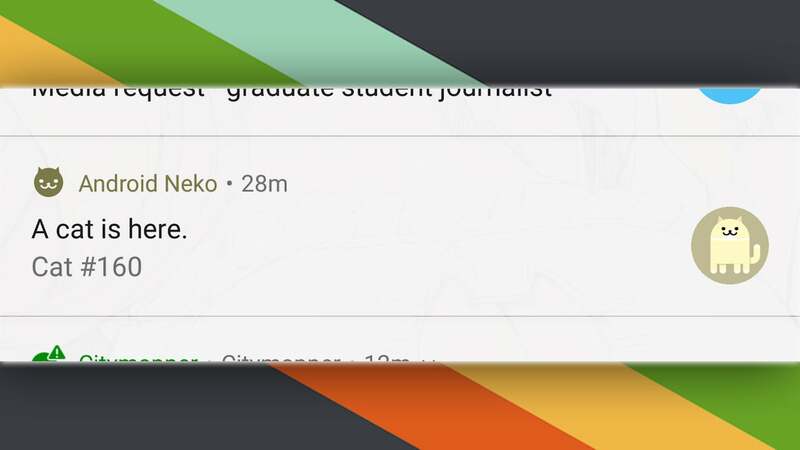 Pull down the notifications shade again, then pull the menu down again until you see "edit" in the lower right side of the shade. Tap it. 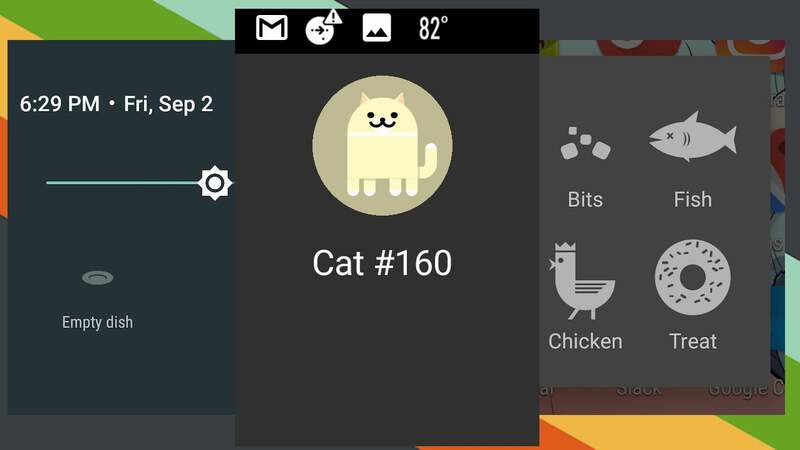 Under "Drag to Edit Tiles," you should see a cat labelled "Android Easter Egg." Tap and hold on the cat and drag it up to your Quick Settings, and drop it wherever you want. Tap back to get out of this screen, then pull down the notifications shade to see where you dropped the cat. It should now be an dish, labelled "Empty Dish." When you open the notification, you'll be dropped at the "Cats" menu, where you can see all of the cats you've collected since you enabled the easter egg and started putting out food. Tap any of them to give them custom names. I renamed the one above "Sandy." You can always get back to the Cats menu to browse your collection by long-pressing on the dish, even if there's food in it. You can share your cats (or delete them, not that you'd ever want to do that) by long-pressing any one of them, and tapping the appropriate icon. Like we said — not a fully-fledged "game" exactly, but definitely a little fun built in to the latest version of Android that most of us would have otherwise missed. For more, and for screenshots of the step-by-step, head over to How-To Geek at the link below, and once you have it enabled, let us know which cats show up first for you! Putting out the same food results in the same cat it seems, but only for a day. After that you can put out something again and you will probably get something different.